We're well into the new year and hopefully on a good footing to perosnal financial success. The economy is recovering, new markets are opening up and the opportunities are available to us all for enjoying a profitable 2012. But as with everything that we do well, it all starts with a well thought-out plan. 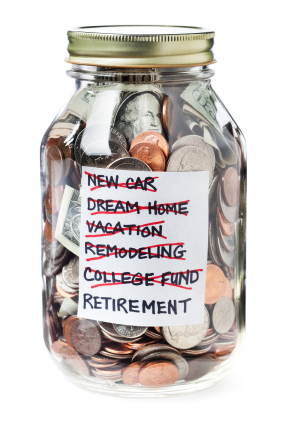 A good place to begin is by realistically evaluating your financial goals. Where do you want to be six months from now? And what about six years from now? What do you need to do today in order to be prepared for tomorrow? The first item in your plan should address a savings plan; some sort of an investment scheme that is funded straight from the top of your monthly income. Don't wait until you have a little extra money to put away for the future - take a regular investment plan seriously by funding it first. In today's consumer-driven society, maintaining a lifestyle that we can afford is not always as easy as it sounds, but keeping your credit card debt to an amount that can be paid off every month is essential to making financial headway. So the bottom line here, as boring as it may be, is to prioritize your expenditures and to not spend money that you don't have. No matter how careful we are with our financial planning, bad stuff happens and there's nothing we can do about it. As great as it is that we're now saving money on a regular basis, we need to go one step further and tuck some cash into a liquid account that can be used for emergency expenses. By having cash on hand, there won't be a need to pull out the old credit card with the words, “charge it” the next time your water heater goes out or your car's muffler sounds like it's going to drop off. This little emergency fund could actually be the ultimate piece of the financial puzzle that will keep you off the credit crisis roller coaster. Your blog gives a tip for credit crisis in financial planning. Maintaining an affordable lifestyle is not easy in today's society, everyone have to keep changing with regular investing plan. Great article full of useful information. The points discussed in the article will surely help me to manage my finances well. In future, I will definitely note down my expenditures and cut down my unnecessary expenditures. i find this article very helpful for everyone especially those who are encountering problems about money handling and budgeting. Most of us fail to be aware about personal financial wellness. for me this article provides us ways on how to live such. A good advice on personal finance, but in my view, it lack consideration of the present, which should be the first point of the advice. Living within means is not enough but some saving for the future is also a must. These are really helpful and realistic means in handling our finances. And, because these are very simple principles, people tend to neglect them. Thanks, for the eye opener article. Sounds really useful. i will be sure to think of this blog when i find a job. Until then i just need to save my pocket money up and place it all into a savings account. I never leave the house without a fiver on me. This is a very nice blog. I like this blog very much. It is also a meaningful blog so we learn many things about this blog. I am interested in this article since how to make my finance better is a big issue for me. I can learn some important and useful tips from it. Hopefully it can really help me. twinkle - that's the reality come's along because some people don't think bout their future when they are having a big monthly income. They just spend their money to the limit, specially when you are a single - no doubt of spending all what they want.skies the limit with out saving for the future. that is the reality of our life, people don't think of their future but just their daily expenses. but after their read your blog maybe some people will now start to think of their future , start saving money. Investing is the crucial thing if we didn't know it well, while your blog give some information that really help for me.